Home » Gamification 2 Years On: what is it now, why is it still important? Gamification 2 Years On: what is it now, why is it still important? I rediscovered it the other day and it seemed like an appropriate time to reassess my words there. Things have moved on since 2011 in the world of gamification, as has my understanding of it. The majority of the article is actually terrible and all stuff that now, for the most part, I don’t agree with! However, there was one bit that stuck out! Interestingly, this is actually not all that far from how I define gamification now, I just didn’t have the same vocabulary as I do now. If you look at that definition, whilst seemingly very simplistic, it actually covers the main concepts that I still talking about. I didn’t realise it then, but I was actually differentiating between Intrinsic an extrinsic rewards / motivation! 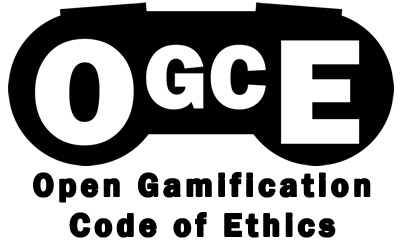 So, 2 years down the line, what does gamification mean to me and why is it still important? This image is very simple and in no way a complete picture, but it gives an idea of where I see gamification now. A convergence of technology (in many cases), game elements and behavioural psychology. You will notice two words there that may raise an eyebrow. The first is fun. Fun is hard to define, but I still think that we should strive to have it in our minds when designing systems! The other is compliance. This sounds a little Borg like, a bit overbearing. However, it is not meant to mean “You will comply or die”. The idea is that most gamified experiences are gamified to try and get the user to change something or do something. It could be getting fit, reading policies, answering questions – whatever it may be. The point is, you are hoping that people will comply with what you are asking of them in your system. If you want to change their behaviour so that they do more exercise, they must comply with rules that are set in place. Reading a policy is compliance with the need for them to read it etc. Why is it important – still? This has not really changed from when I first started writing about gamification, I just didn’t see the depth at the time! That is just one small part of the true importance of gamification. Gamification has the ability not just to make small repetitive tasks more bearable. It can drive innovation, help people share knowledge, create better methods of learning, solve problems in a fraction of the time that traditional methods did, getting fit, eating better and so much more! It is important because it can improve things for employees, users, buyers, sellers, learners, teachers – pretty much anyone and everyone. Things have moved on in the last 2 years, but one thing is still the same. Gamification is here, it is going to stay (in one form or another) and it is going to continue to be important, more so now than ever before! around Gamification. It encouraged me to look at our own product that wasn’t originally intended to be classified within the gamification category but is aligned with your analysis and definition. Extrinsic Motivation – Reward points serve as icing on the cake and encourage employees to collaborate, help out and work hard to gain points redeemable for products, donations, gift cards and unique company experiences. Thanks for your thoughtful article and analysis.